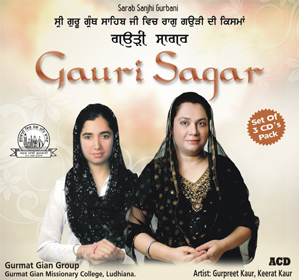 Raag Gauri Dakhnee is part of collection of Raag Gauri Shabads in Sri Guru Granth Sahib Ji. 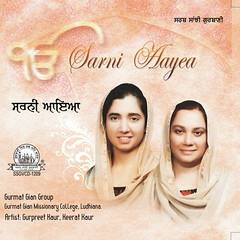 The swaroop of Gauri & Gauri Dakhnee is the same. They share the same aroh & avroh and vadi samvadi. 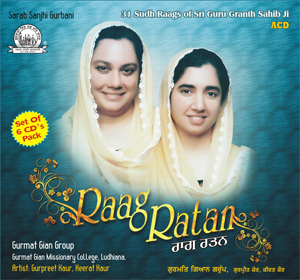 The difference among them is that in utrang and poorvang the shadow of Raag Kalingra is seen. 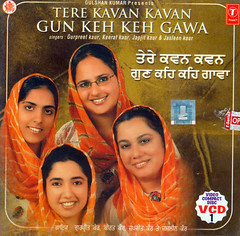 For example: In the poorvang of Gauri stress is given on Re(k) Ga Re(k) Sa, Re(k) Ga Re(k) Sa. 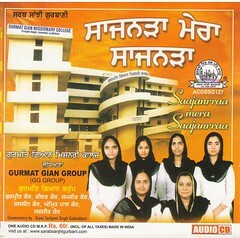 In the poorvang of Gauri Dakhnee stress is given on Sa Ni Re(k) Sa, Ma Pa Ma Ga, Pa Ma Ga, Pa Ma Ga, Re(k) Ni Re(k) Sa. Thaat: Bhairav Kalingra Ang; Jatti: Aurav Sampooran; Gandhar & Dhaivat are forbidden in aroh; Rishab & Dhaivat are Komal rest all are shudh swars. Singing time is Morning Time. 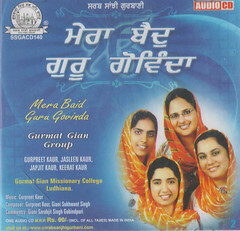 Pakar: Sa Re(k), Ma Pa, Dha(k) Ma Pa, Ma Ga Re(k) Sa, Ni Re(k) Sa.